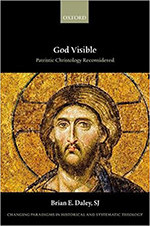 God Visible: Patristic Christology Reconsidered considers the early development and reception of what is today the most widely professed Christian conception of Christ. The development of this doctrine admits of wide variations in expression and understanding, varying emphases in interpretation that are as striking in authors of the first millennium as they are among modern writers. The seven early ecumenical councils and their dogmatic formulations are crucial way-stations in defining the shape of this study. Brian E. Daley argues that the scope of previous enquiries, which focused on the declaration of the Council of Chalcedon in AD 451 that Christ was one Person in two natures, the Divine of the same substance as the Father, and the human of the same substance as us, now seems excessively narrow and distorts our understanding. Daley sets aside the Chalcedonian formula and instead considers what some major Church Fathers—from Irenaeus to John Damascene—say about the person of Christ. Originally published by Allison Collins at theology.nd.edu on February 05, 2018.